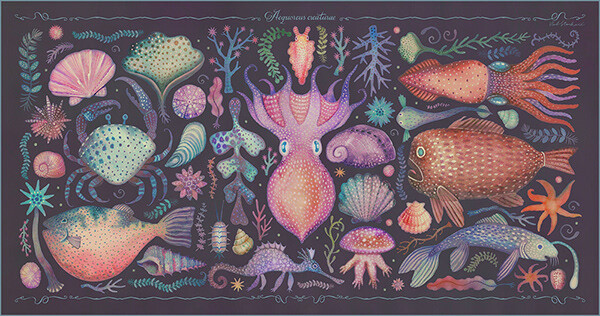 Aequoreus creaturae (or Marine creatures in Latin) illustration series inspired by vintage encyclopedia art and the mysterious ocean plants and animals, created with watercolours on paper and Photoshop. 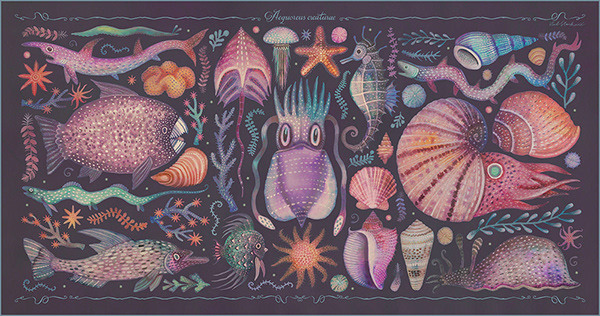 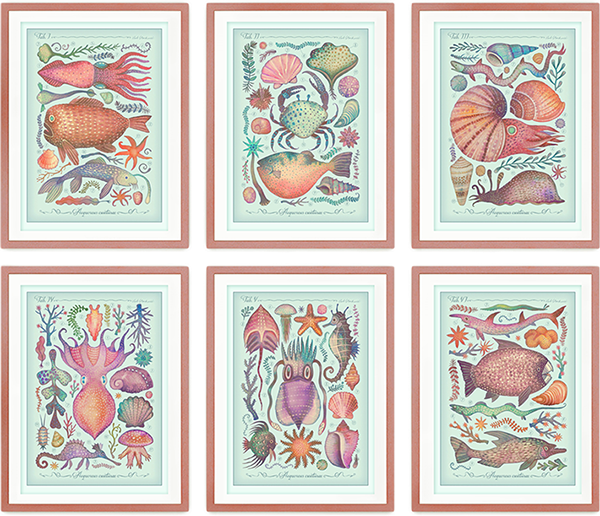 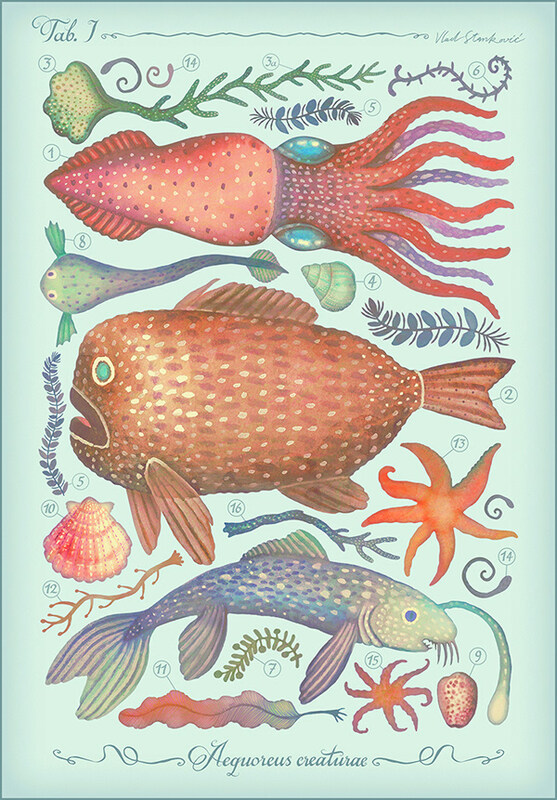 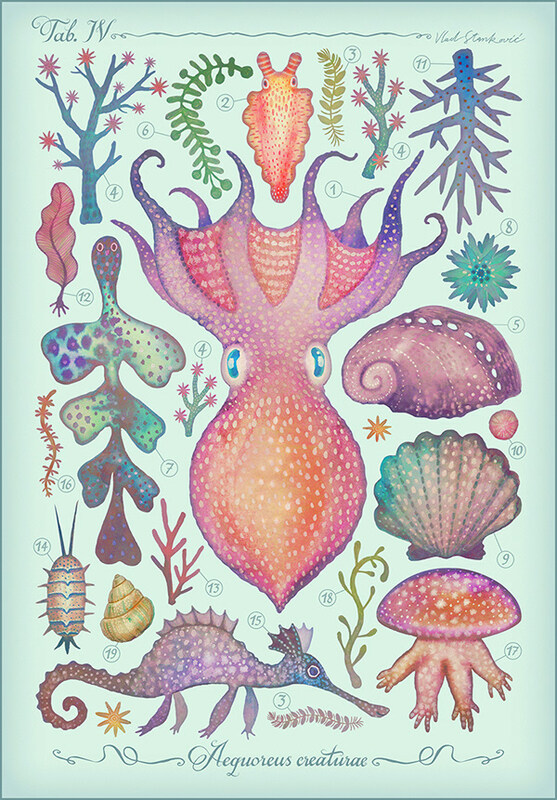 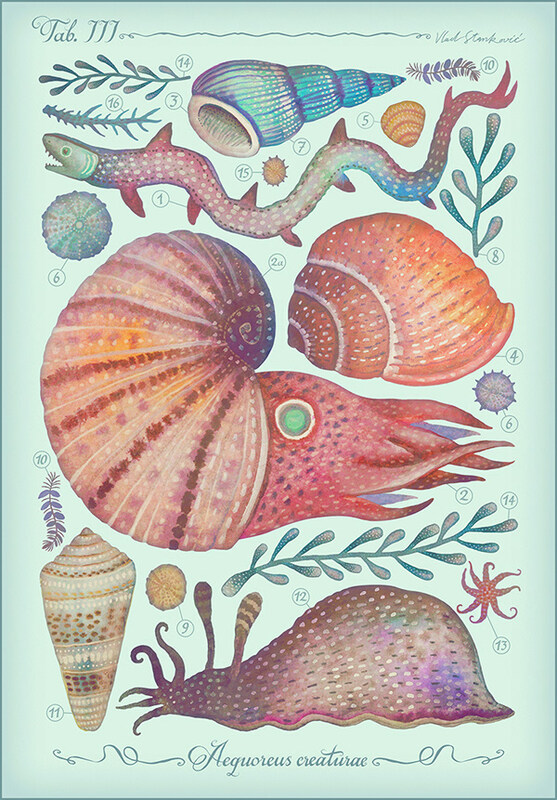 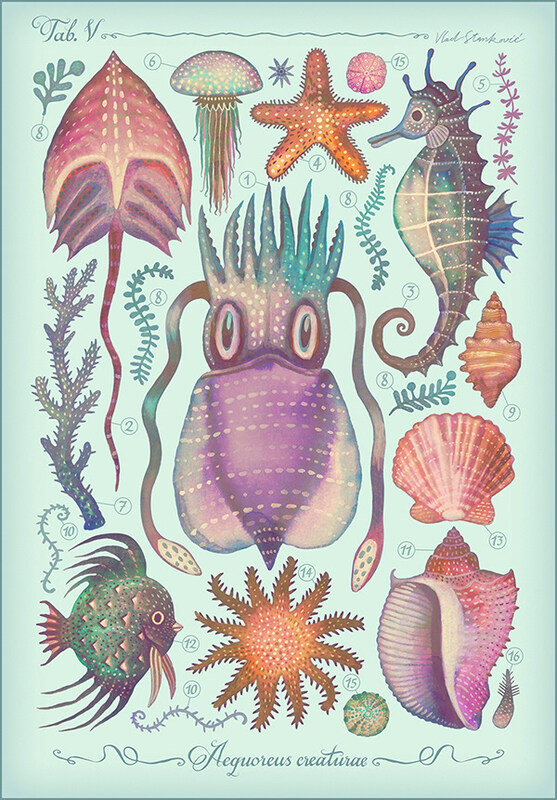 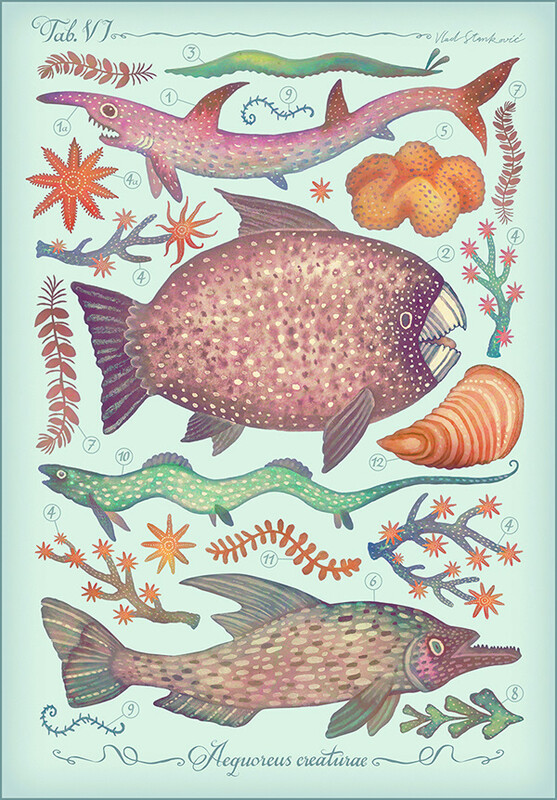 Various illustrations depicting a variety of sea creatures inspired by vintage encyclopedia art. 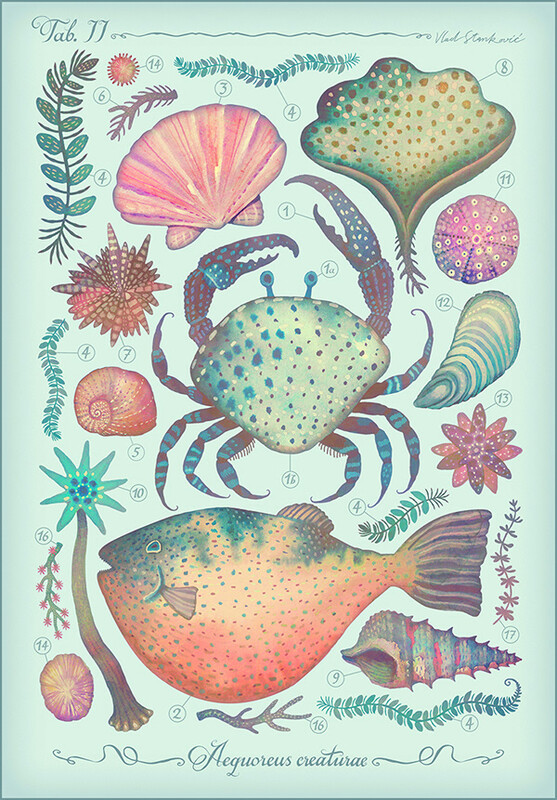 The animals, plants and the lettering were created with watercolors and later digitally processed.